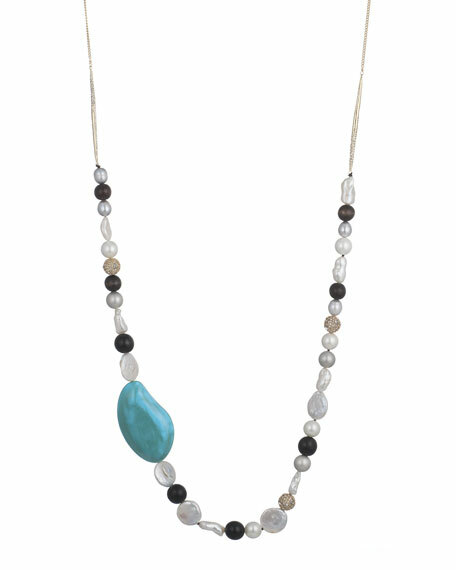 Alexis Bittar beaded liquid silk necklace. Turquoise, opalescent and clear beads. Round crystal pavé bead accents. For in-store inquiries, use sku #2183056.